A monumental understanding in Los Angeles and Montreal and Zurich. Pechstein holds the banner up of Van Gogh and Munch. Signac and Klimt have exactly the same landscape technique. Van Gogh’s great yellow Wheatfield with Reaper of 1889 and Signac’s magnificent pink Saint-Cloud of 1900 set the tone and are sufficient in themselves (with Gauguiin, Cézanne et al.) to explain everything, and both are in Essen. An exhibition that solves many problems effortlessly, takes the lid off the German painters and causes the French to be innately understood. 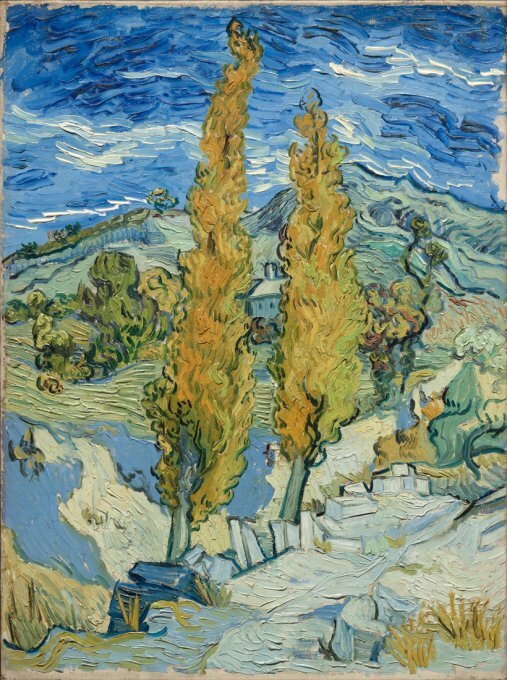 Van Gogh is the greatest master of them all, first among equals, his language is easily spoken here since the epochal showing at LACMA West (the May Co. building). The German Expressionists are intimately well-known thanks to the Museum’s collection and Robert Gore Rifkind, and Galka Scheyer at Pasadena. The French led by Matisse are also familiar, the exhibition shows all the artists in their true light.